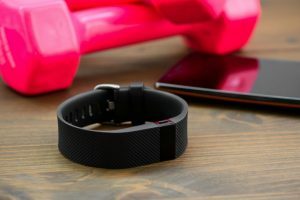 If you are on a budget and looking for the best fitness tracker waterproof or water-resistant device to keep you on track and motivated, we bring you three of the best we’ve found. 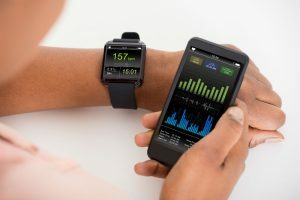 On top of the basic metrics they record, these devices offer you some bells and whistles you might end up loving. Check out which one works best for your needs. 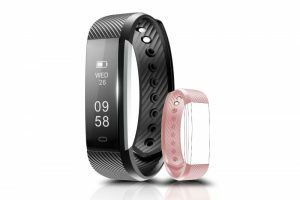 What are Some of the Best Fitness Tracker Waterproof or Water-resistant Devices? 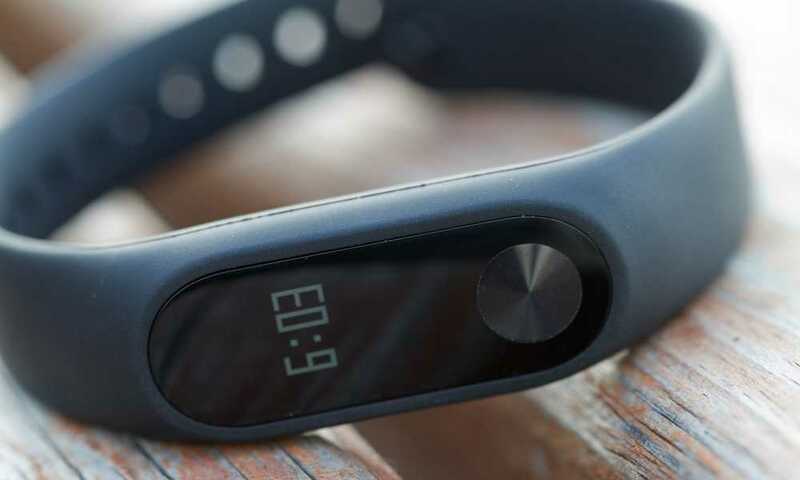 This fitness watch features a lean yet solid tracker. It comes with a 0.86-inch OLED touchscreen, textured black 0.7-inch wide TPU straps, and an integrated USB plug. This black watch is packaged with a complimentary set of blue, green, pink, or purple straps. It monitors steps taken, distance covered, active minutes spent, and calories burned throughout the day. It also has a silent alarm programmable to up to 10 alarm schedules, a phone camera remote control, a sleep monitor function, phone and SNS alerts, and a sports mode. Additionally, it is rated IP67, which means it is safe to use in the shower or pool and will survive a downpour. It is compatible with smartphones with operating systems of iOS 7.1 or Android 4.4 and above. It works seamlessly with Bluetooth 4.0 connectivity and up. Charging time is one hour which will last you five to seven days. 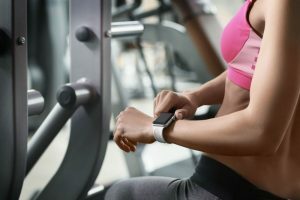 The fitness watch comes with an extra strap so that you can switch from its original basic black color to your choice of blue, green, pink, or purple strap. It would have been great if it were rated IP68 rather than just IP67. This waterproof, touchscreen fitness tracker features a slim and sleek design. It comes with a 0.96-inch OLED screen; 20-mm wide TPU straps in black, purple, red, or purple; and a built-in USB plug. It fits wrists measuring 5.5 to eight inches. The watch lights up automatically when you raise your hand to check the time. It monitors heart rate, blood pressure, steps, and calories burned throughout the day. It also has a sedentary reminder, clock alarm, sleep tracker, and phone and SNS alerts. The Cafar fitness watch also conveniently records stats for sport-specific activities, namely: walking, running, basketball, badminton, and swimming. It is also rated IP68, which means it is waterproof and dust-proof. It can survive depths less than 33 feet in the water for 30 minutes. Moreover, it is compatible with iOS 8.0 or Android 4.4 smartphones and above with Bluetooth 4.0 connectivity and up. Charging time is one to 1.5 hours; the watch can hold a charge for five to six days in standby mode. It has a high IP68 rating, making it ideal for those looking for a fitness tracker that can withstand a dip and a splash. It is fitted with a wrist sensor technology, which conveniently turns on when you’re checking the time or your stats. It only records stats for five activities; whereas others can do up to 14 activities. The app that comes with it is glitchy. This waterproof, touchscreen fitness tracker sports a clean and elegant look. You can choose from a black, purple, green, or purple design. It provides all-day monitoring for heart rate, steps taken, distance covered, and calories burned. It also records exercise duration and average pace. It is equipped with an alarm, phone, and SNS alerts. Heart rate data are available in resting, average, and max HR; whereas, sleep is differentiated between light and deep slumber. 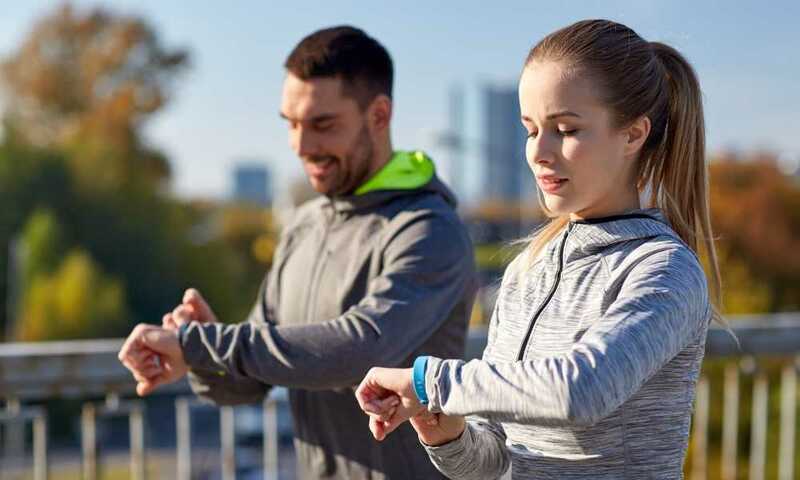 The TwobeFit activity watch also conveniently records stats for 10 activities, namely: trekking, badminton, fitness, spinning, treadmill, yoga, basketball, football, tennis, and dancing. It is also rated IP67, which means it will survive a splash under the sink or a rain shower. It is compatible with iOS 7.1 or Android 4.4 smartphones and above with Bluetooth 4.0 connectivity and up. Using its built-in USB plug, it powers up full after one to two hours of charging. It will last up to five to seven days on standby mode. It has a clean and modern look. While heart rate monitor is not very accurate, it is within range. It conveniently records stats for ten activities. The app doesn’t work as well as other fitness apps. It can only sync one watch with your smartphone. Rated IP67, it is water-resistant, not waterproof. Design: The three fitness trackers look the same. They are all touchscreen fitness watches with integrated USB plugs. So, don’t be surprised if your package doesn’t come with a charging cable and adapter. All you need to do is remove the straps and charge the device on a computer’s or laptop’s USB port or into a USB charger. What differentiates them is the strap design. Both HQBEi and TwobeFit have a textured strap; whereas Cafar is fitted with a smooth strap. The previous two also share the same buckle-and-strap pin adjustable system, while Cafar’s version has an integrated rubber ring and secures itself with a metal pin. Worth noting as well is that HQBEi provides an extra set of straps in a different color, which is great when you want some color pop. As for metrics available, Cafar provides the most number of fitness information. It can monitor heart rate and blood pressure, as well as provide sedentary alerts. 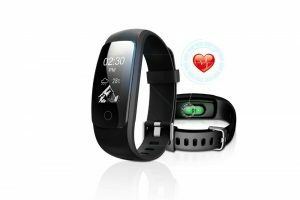 But HQBEi makes up for its lack of heart and blood pressure tracking function on extra features which you can’t find on the two other fitness watches, namely: remote camera control and a 10-alarm scheduling capability. TwobeFit, on the other hand, outdoes the two with respect to the number of sports activities it can monitor. Another notable difference is that only Cafar is rated IP68, which means it can survive a 30-minute dip in the water with depths less than 33 feet. HQBEi and TwobeFit are only rated IP67, which means they can only stand a splash in the shower or sink or go under the rain. Still, all three are in agreement on the need to provide SNS, SMS, and call alerts, as well as in monitoring sleep quality. Performance: In terms of providing accurate or near-accurate results, HQBEi is the device among the three. 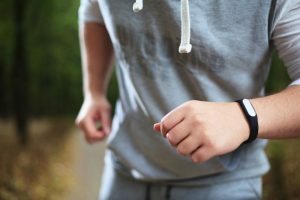 While it allows for not as much information as Cafar, and it doesn’t have the 10-activity tracking function that TwobeFit has, it supplies figures closest to the real metrics. 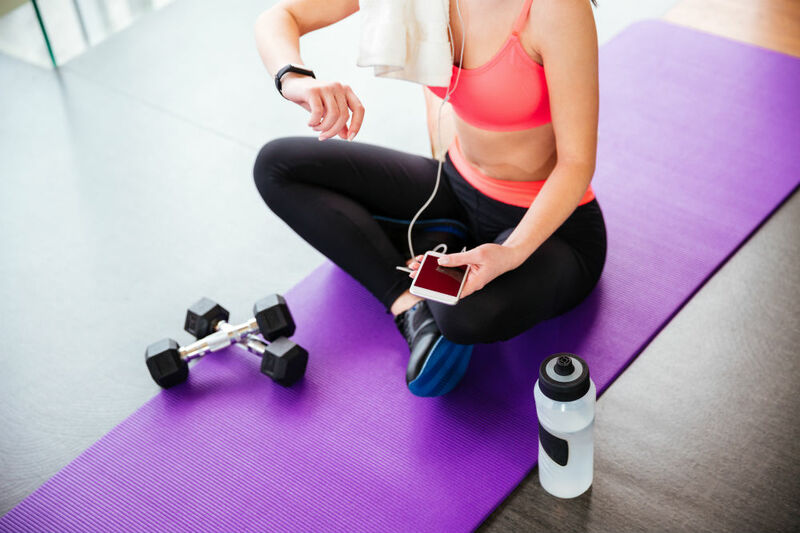 Plus, of the three, it is the least troublesome in communicating with its fitness app. 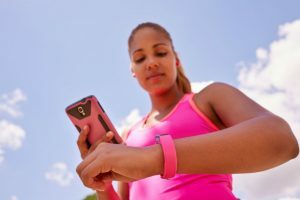 Price: Cost should not be an important factor when choosing between the three activity trackers. They fall closely within the same price range with differences pegged at less than a dollar. Overall: If you are looking for the best fitness tracker waterproof or water-resistant device, the HQBEi is highly recommended. It provides reliable readings, some extra nifty features, and a complimentary set of straps to boot.